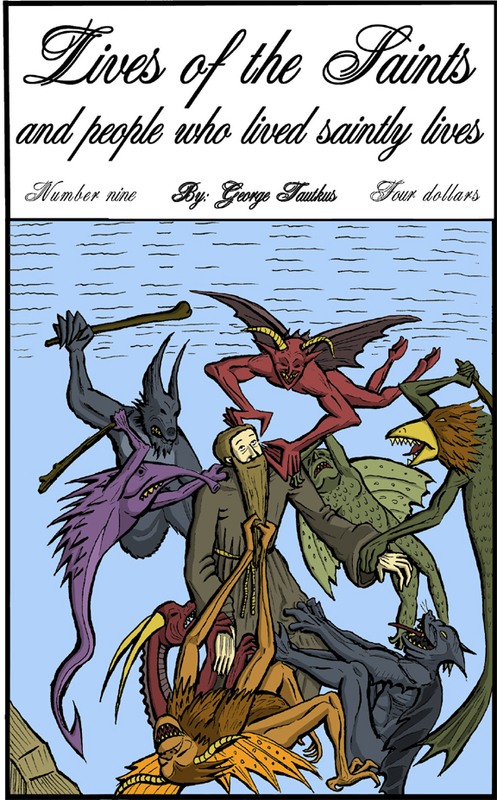 Lives of the Saints (and people who lived saintly lives) #9 is out now! It's about St. Anthony of the desert! It utilizes some crazy scenes! It is for you and everyone you love! 32 pages, color cover, only 4 bucks! What a deal! Get it at Tautkus Studio.com ! St Anthony of the desert and his time in the tombs.